The standard repair fee does not include LCD displays, housing parts, antenna, battery, etc.. This cordless phone was made by Uniden and branded to work on many different business class phone systems. The base receiver has an additional interchangeable card that is compatible with specific proprietary phone systems. The phone is permanently linked to a specific base using a unique serial number. P1Repair can re-program a phone and base station to link and work together. With this technique any EXP9700 phone can be made to work with any EXP9700 base receiver. 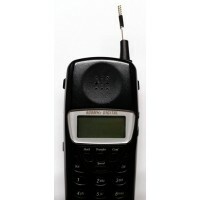 For example a NEC phone can be re-programmed to work with a Toshiba base station. The phones are identical, only the swappable phone card in the base receiver determines which system it will work with. Warranty covers the problem sent in for as well as most common issues. It does not cover unreasonable abuse, housing parts or the LCD display. Select any optional add-on services and add repair items to the cart. Check out like you normally would with an on-line item purchase. 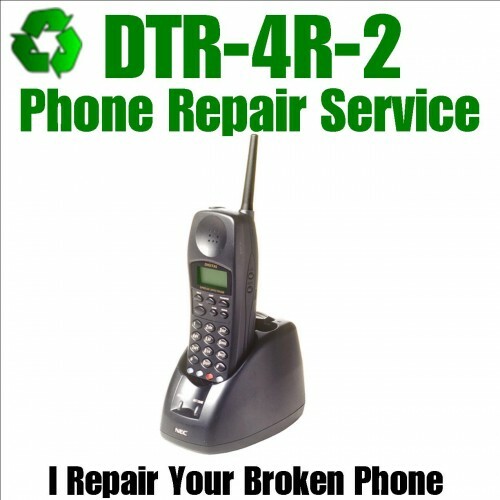 For repair service you do not have to pay at checkout. Payment can be arranged after repair is complete and the order is ready to ship. When you complete the on-line repair order, simply print the order confirmation and mail it in with your equipment for repair. IMPORTANT: Please include a detailed problem description whenever possible. Only mail the base receiver when you need the phone linked. Please do not send any power adapters. 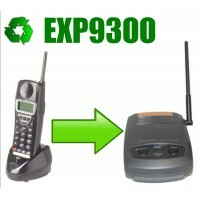 Cordless Phone Pairing Model EXP9300 EXP9700 This listing is for pairing working phones to..
Cordless Phone Antenna Repair Model EXP9300 EXP9700 Many people just need the antenna repa..